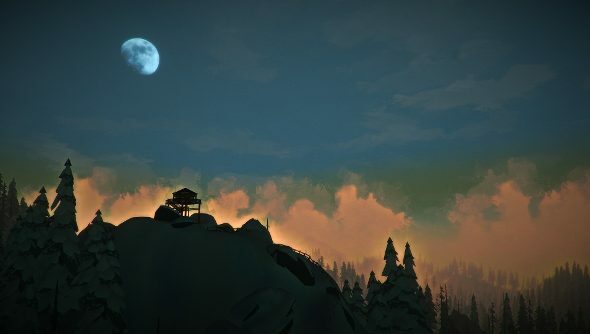 My very first game of The Long Dark ended in the jaws of a wolf. There I was, minding my own business, rummaging through a first aid box, and bang. The wolf leaps out of the shadows and starts chewing my face off. But in v.192, wolves might not be as big of a problem. Torches! Those mangey beasties hate fire, and waving a torch at them will make them think twice about their dinner plans. The world’s bigger now, too. A new region’s been added, a 10 square kilometer valley for you to explore. Take a gander below to see all the changes. New Region! Pleasant Valley. Nearly 10 square kilometres of rural mountain valley. New Mystery Wildlife! Keep your eyes open. Harvestable Plants. Collect Old Man’s Beard Lichen, Rose Hips, and Reishi Mushrooms and craft natural remedies. Torch Brandishing. Craft Torches and Brandish them against Wolves. You might scare them off! Visual Inventory. Completely redone Inventory screen with improved navigation and embedded Repair and Harvesting actions. General improvements to wildlife AI, to support better player decision-making about Fight or Flight response and clarify wildlife presence and intent. Predators are now attracted to the smell of Blood (bleeding wounds, raw meat, etc.) and will come investigate if within range. Scent is now affected by Wind speed and direction. All Beds now have a Warmth value displayed in the Rest interface. Bedrolls now lose Condition and must be maintained. It’s possible to find multiple Bedrolls in the world. All fires now visualize their state (ignition, full burn, cooling off, coals) through flame, sparks, and smoke. Smoke also respects wind direction. Various new sounds, and many previous sounds have been replaced based on a new foley recording session. Updated Silent Hunter and Pacifist achievements to clarify they need to happen in the first days of a game (not after many days have already passed). German and Russian translations have been fully updated. Achievements are not sent to Steam if player is dead. Fixed key binding issue with AltFire. Fixed discrepancy between time survived and time of day. Fixed scroll wheel issue on right side of container screen. Fixed issue with failing to Transfer All showing incorrect info on screen afterwards. Fixed issue where Log could show incorrect days in a new session after dying. Fixed issue with campfire disappearing if cancelling out of creating a fire in a stove.